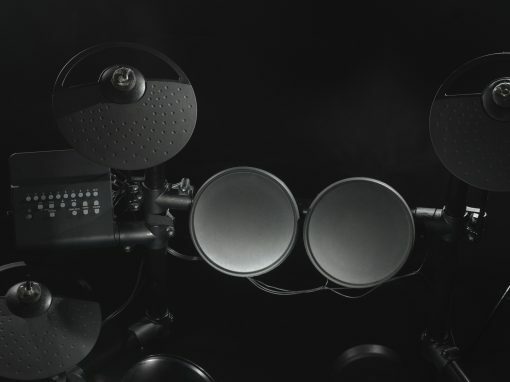 Find out how To Amplify Your Electronic Drums Here! Most drummers face the single most annoying problem of them all – not being able to play in their homes. That is mainly due to the fact that drums are an acoustic instrument which is also one of the loudest. That being said, if you aren’t living in a house with patient neighbors, chances are you won’t be able to play your drums freely. Enter electronic drums. They are as quiet as playing with the sticks on your legs and at the same time can sound as loud as you want when properly amplified. 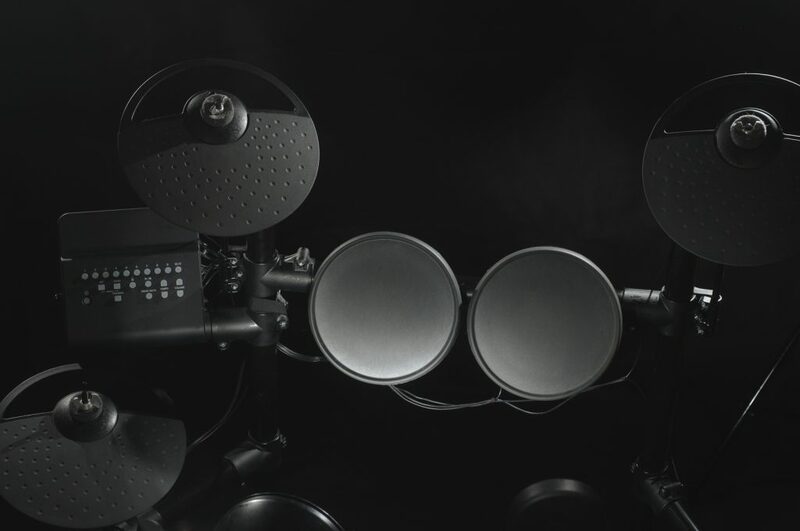 Wondering how to amplify your electronic drum kit? Well, we are here to help you out on this one. First of all, let’s give you a little more insight on what amplifiers actually are and what they do. The amplifiers (or commonly referred as “amps”) are electronic devices that increase the signal which goes through them. They are connected to the electrical circuit, thus have the potential to generate further output from the signal you are providing. Their power is measured by the “gain”. Gain is the ratio of output to input. Basically, a condition that all amps go by is for their gain to be above 1. 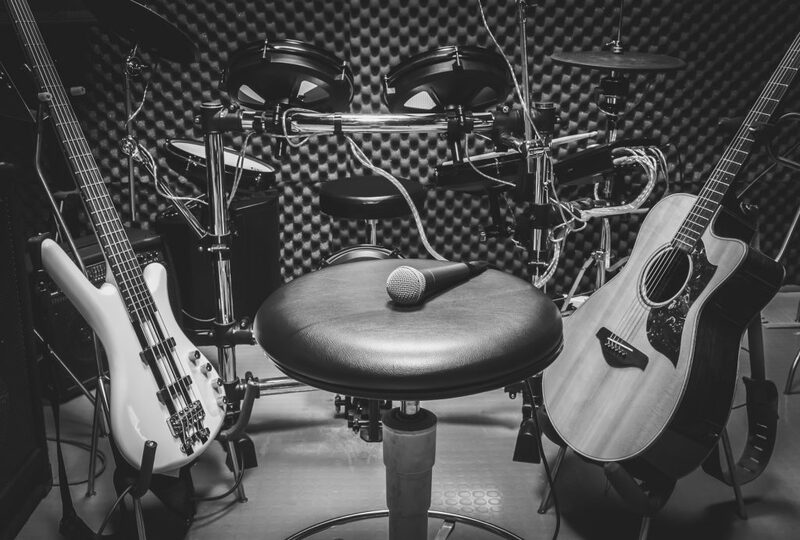 Electronic drum kit amps look almost exactly like guitar or bass amps but they are designed specifically to amplify electronic drums. They are almost always quite compact so you won’t have to figure out where to put it or have weight issues with it. Don’t be misled by its small size, though. These amplifiers have a much higher output than the rest. Either way, there are tons of models out there, so you will easily find the perfect match for your taste in terms of price, size, design, and gain. As we mentioned, electronic drum kits can sound as loud as you want them to. For example, you can use them with your headphones at home, but then need to amplify their sound when going on a gig. In general electronic drums are quite practical and easy to carry around, which is the reason for their amps to be compact as well. 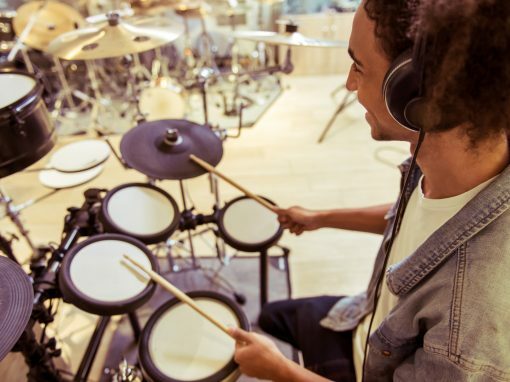 If you are still on the stage of finding the perfect electronic drum set for you or you have it already and want to learn how to play, we’d suggest reading our articles on that. If you are in a band, chances are that the guitarist or bassist already know how to deal with this kind of stuff, as their instruments can’t perform without amplifiers. If you’ve been an acoustic drummer so far, you might find this somewhat hard. No need to be scared, though, as we will describe the whole process in a step-by-step manner for you. Let’s get started. Some electronic drum manufacturers also have their own lines of amps and speakers. You can check online which of those two will work best with your kit. Most often this information is listed in your product manual, as the companies are well aware that at some point you would want to amplify your drums. In case you are going forward with another amp or speaker, though, the main thing you need to know is checking the specifications of the equipment you will be buying in order to see if its compatible with your kit. DO NOT use (really advisable) any other sort of amp, for example, guitar or bass. Yes, we said that they can be used but please, if you have any other option go for it. Those types of amps aren’t meant to work with drums and you will just blow them. One thing we can say is that, if you have no other choice, bass amps will do a better job than guitar amps, but they will still sound terrible. If you can get your hands on a keyboard amp that’d be great, as they are meant to work with electronic instruments such as your e-drums. Passive Speaker/Amp Combo or Powered Speakers? This has been the eternal debate among drummers and musicians in general. Passive speakers are a piece of music equipment which needs an amplifier to produce sound. This raises a few issues. First, you will need to buy more than one product, and second – the overall set up is kind of harder. On the plus side, though, you will have better control over the audio output. Powered (or Active) speakers, on the other hand, are speakers with built-in amps in them. They are amazing for amateur drummers, as they require less equipment and time to set up. This means that you will carry less stuff and fewer cords with you. Also, you won’t have to mess with the amp to get the perfect sound, as the outcome is usually satisfiable for the basic needs. So, in conclusion, get a passive speakers/amp combo if you want to tweak your sound more, but know that this will cost you way more and you will have to deal with more equipment on your gigs. Getting active speakers will satisfy all your basic needs of simply amplifying your drums. We will divide this final part into 4 stages. Stage 1. Before connecting anything to anything, make sure you’ve arranged your equipment well on the place where you will play the kit. If you are on a stage, place the speakers on both sides so that you avoid any interference with the mics. Do not plug in anything in an outlet before you connect everything else via your cables. Stage 2. Every electronic drum kit has a module. Find yours and locate the “output” jack. This is the place where you connect your speakers to your kit. This jack is usually a ¼ inch one, however if something isn’t matching either on the cable or jack side, you can get size converters to match everything to the ¼ standard. Stage 3. Once you’ve entered the speaker’s cable into the module, it’s time to place the other end of that cable into the speakers themselves. If you have an amp/passive speakers combo and not an active speaker, you need to connect this cable to the input jack of your amplifier first. Then, from the amplifier’s output jack connect another cable into the input jack of the speaker. Pro Tip: Be sure there is plenty of slack on the cable, otherwise a band member (or you) can trip over it. Trust us, you won’t like the outcome of this. Stage 4. This is the stage where you test everything out. Make sure you have all the volumes down to zero before plugging all the components into a power source. Then, keep raising the volume (while playing your drums) until you reach the perfect level for the present gig/session. You can adjust the sound level from either the drum module, the speakers themselves, or the amp. Finding the right amp for your electronic drums can take time, but we assure you the end result will feel more than amazing. 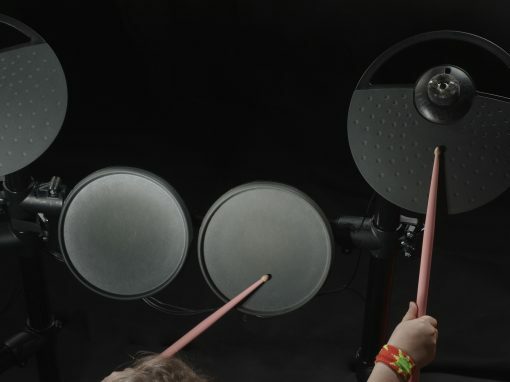 Whether it is for a gig, or you simply want to play louder in your apartment, learning how to amplify your electronic drums is a great way to feel closer to real drumming without having the whole space taken up by the acoustic drum set. Make sure you write down these steps of connecting everything together, as any mistakes can be harmful to your equipment. Either way, after a few times, you won’t have to think about it and all that will be left will be to enjoy your electronic drums!